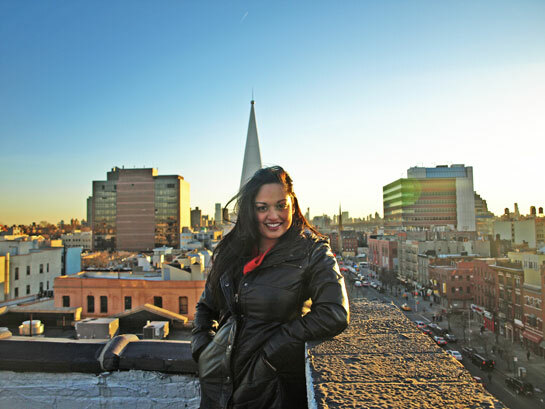 ADC Member, Amanda de Souza is a New York City-based artist and Senior Designer who recently exhibited with Sing for Hope, the nonprofit organization founded in 2006 that encourages public art by bringing together artists and communities. 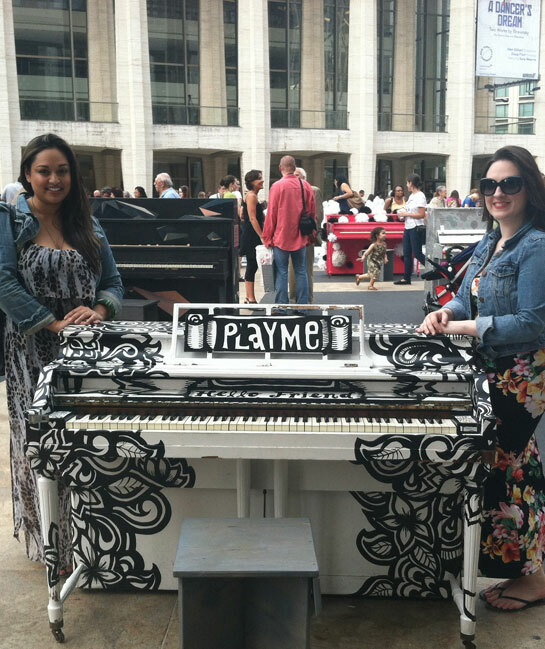 Amanda tells us how it feels to create a beautiful piano for the community to play! ADC: What do you do as a Senior Designer at Condé Nast? Amanda de Souza: I am a Senior Graphic Designer, part of an extremely talented promotions team at W (magazine). ADC: How did you get started in the creative industry? Amanda: I attended Ryerson University in Toronto for Arts & Contemporary Studies. 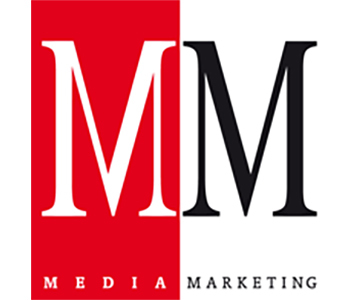 At the time, I had chosen Marketing as a minor and thought that I gravitated towards those particular courses. 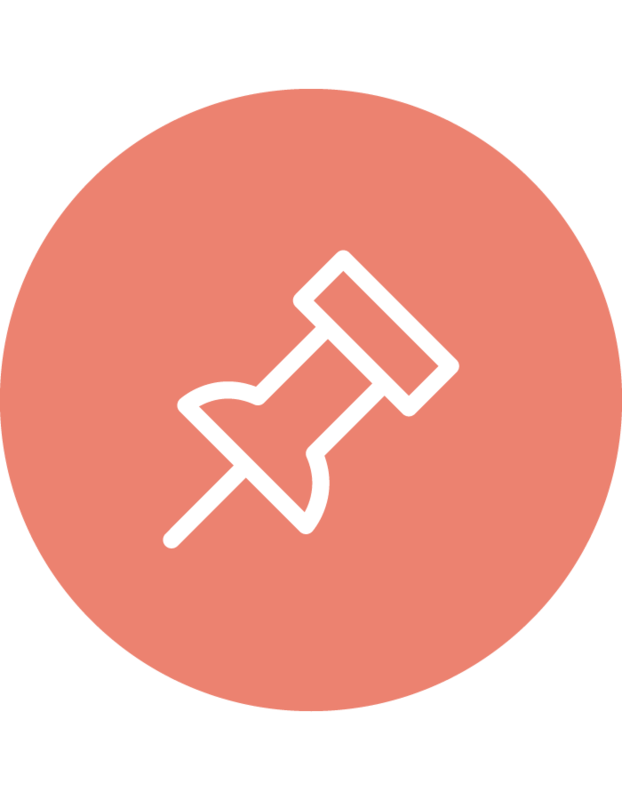 I eventually transferred to the Advertising program at Durham College just outside of Toronto, where I quickly streamlined into Creative Advertising, which is also where I learned all of my design skills. With a background in marketing, advertising and a natural love of art, I found my niche. ADC: How has the creative industry exceeded your expectations? Amanda: The minute I was able to start an internship I sent a disgruntled 4Am email to a Creative Director in Toronto and rather than sending the “copy & paste” text, which I had sent to a dozen agencies, I bluntly explained to him why I wanted to work in Advertising so badly. I believe I made a reference to wanting to be Heather Locklear’s character Amanda Woodward from the TV show Melrose Place. The next day, I had an interview and after completing my internship, I ended up working for that digital agency now called Engagement Labs, as a Writer/Producer for three years. This ultimately allowed me to advance my career in New York City. From that first night, I was amazed how innovative and creative thinking is welcomed, as well as encouraged, in this industry and allowed me to speak up in boardrooms, and grow and develop with each project. It is extremely fulfilling to see your creative ideas come to life, become successful and then immediately be challenged to come up with the next new and exciting design. 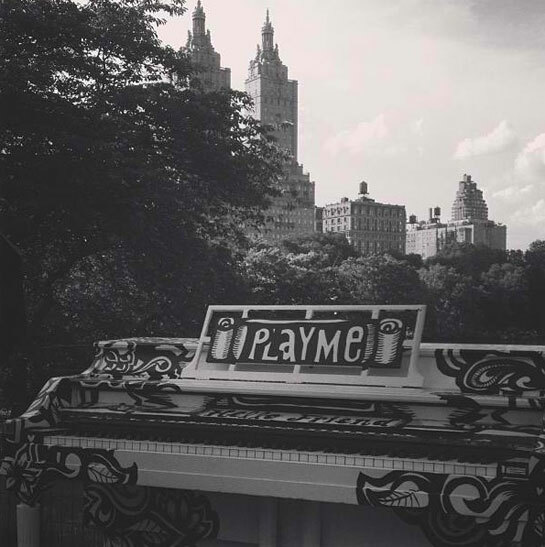 Piano in Central Park – from Instagram hashtag #artforall used during the duration of the Sing for Hope Pianos in NYC. 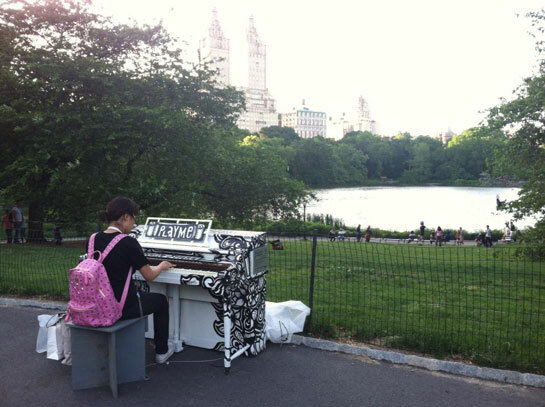 ADC: Please describe the piano art project. 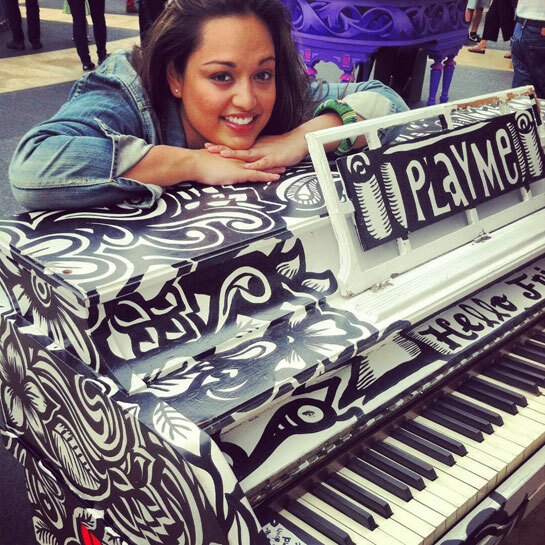 Amanda: Sing for Hope is a wonderful organization that executes this amazing public art installation, hiring hundreds of NYC artists to paint 88 pianos that are then dispersed amongst the five boroughs in public areas for anyone to play for two weeks before they are donated to schools, healthcare facilities or community organizations. Sing For Hope then continues their year-round classes, performances and workshops at these locations. I had the fortune of being selected as one of the artists this year. ADC: How did you get involved? Amanda: I submitted a thorough proposal several months ago. After researching galleries that were accepting art submissions, I serendipitously stumbled upon Sing For Hope’s near approaching deadline for artist submissions and was selected a few weeks later. 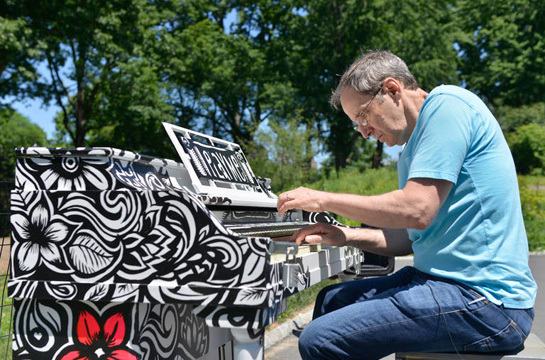 I have since completed painting my piano and also volunteer for the organization when I am able. ADC: Where do you derive inspiration for your art? Amanda: My mother is an artist, and both she and my father are musicians, so this project was a lovely marriage of my two passions. New York City provides an infinite amount of inspiration and muses for my art, I also find that my career in Graphic Design and creative advertising lends itself to creating artwork that ultimately ends up appealing to a large audience through color, text, lines, story, placement etc. ADC: What do you hope to achieve in the creative industry, what do you hope to do next? Amanda: To create and pioneer new and memorable campaigns and challenge the next generation of creatives coming through to do the same—and to have a good time doing it. That’s what creatives do! I am lucky enough to have my passion in art now combine with my career in advertising design and would like to continue to do so, perhaps, if I am so lucky, into Art Direction. ADC: Anything else that you would like to share with the ADC Community? Amanda: Just a thank you for creating such a wonderful community and something I have aspired to be a part of my whole career. We look forward to seeing future art and design projects from Amanda, and you can too by friending her on facebook or following her on Twitter or instagam by her handle @amandanicolenyc.